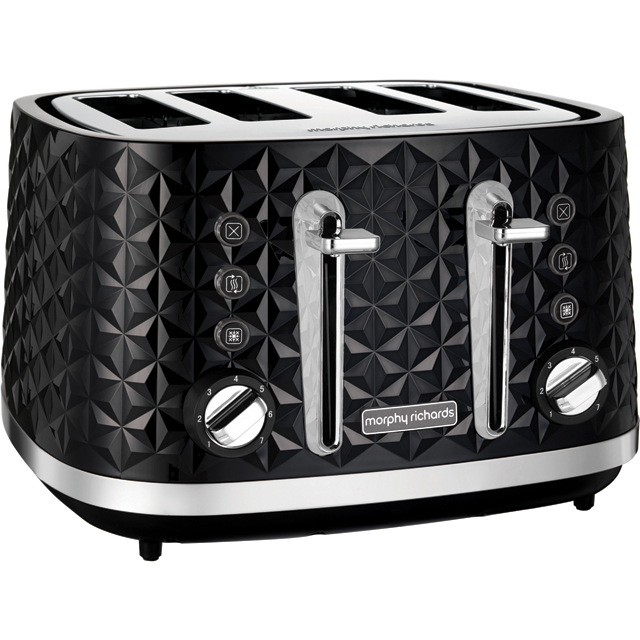 Look forward to the most important meal of the day with this black 2 slice toaster from Morphy Richards. The high lift function makes it easy to grab small items like muffins and crumpets, so you can enjoy a delicious eggs benedict without burning your fingers. Your breakfast will always be served just how you like it, as the variable browning function lets you adjust how well done your toast is. There’s no need to worry if you forget to defrost a loaf, as the frozen bread function lets you make perfectly browned toast straight from the freezer. It even has a handy removable crumb tray, so cleaning up is as easy as buttering bread. 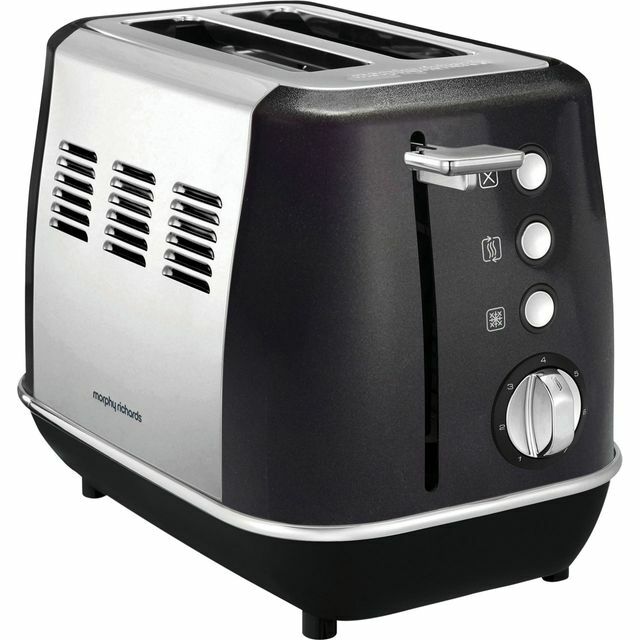 this toaster has a great look and is also very functional with very wide slots, makes great toast and is perfect for doing toasted sandwiches in a toastie bags, i would absolutely recommend this! So convenient that I found this product, I was looking for a toaster to match a kettle my nan already has and when I was looking through the internet this is the only one which was a two slice! All I could find Was a slice which we didn’t really want as it was too big so this to pop up was so lucky. The design is beautiful when the light hits it in the morning as it shines and creates a glow in the kitchen and to my surprise, it actually matches! What you want from the appliances is for them to stand out and Black usually doesn’t but the added shine means it does, stunning and the centrepoint of the room, so glad I found this! Of course it makes amazing toast too!! * 224405_BK was at the higher price between 05/02/2019 and 04/04/2019.